"Love is all that’s real… all the rest is just smoke and mirrors"
Officiating wedding ceremonies was the last thing I expected to love to do, but it seems Spirit had another plan! A month before I graduated seminary, a prominent wedding officiant (who happened to be was my teacher) was unavailable to accept a client, she recommended me to do the ceremony. I reluctantly agreed. The couple: In the process of co-creating this ceremony – from beginning to end - I feel in love with the couple and they fell in love with me. After the ceremony, the groom hugged and lifted me off the ground in a joyful embrace. I felt so grateful to have co-created this magical experience and have since fallen in love many times over. With the overwhelming joy I felt, I realized that this was something I was clearly destined to do. My clientele is incredibly diverse ranging from religious, to spiritual to atheists – folks in their 20’s to couples in their 80’s; they have represented many religious traditions, common and uncommon. Supporting couples in co-creating ceremonies that recognize their unique understanding of love and spirituality is what I do. The process is to delve deeply into their unique experience of love that only they truly know and understand. Then together, through meetings, questionnaires and conversations we unfold a ceremony that embraces the unique love and experience. Starting at $450, this package is for you if you're looking for a simple and sacred ceremony for just immediate family or close friends. This is also a great option for last minute weddings or vow renewals. Starting at $800, this is our most popular package! Starting at $1200, this package is for you if you want to go all the way in preparing to walk down the aisle together by adding spiritual counseling. Get clear, grounded and fully aligned as a couple before saying "I do" with this invaluable addition of 3 one on one hour long sessions before your big day arrives. What other happy couples are saying! Sonia was a dream to work with! She really has an amazing gift. 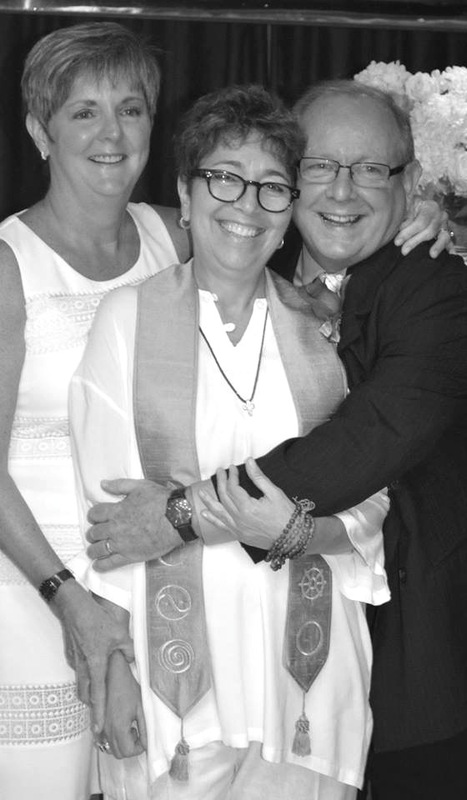 “To be married by a minister whom you feel is like family is a once in a lifetime experience. Reverend Sonia Ketchian is just that! During the journey to our special day, she created a comfortable path for us with her smile and loving way. She really has an amazing gift - words can not do it justice. She took one of the most important days and made it a lifelong loving and amazing memory. To this day, Rev. Sonia Ketchian remains an integral part of our life and I would highly recommend her for all services." — P. & J. She is an absolute perfect choice! Quite simply, Sonia embodies pure love and she brings this to every endeavor. Your perfect day is waiting. Book Sonia to officiate!